Another easily grown ornamental Allium. 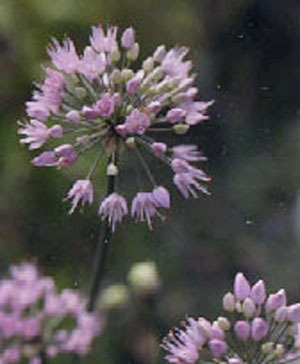 The 3" heads of pinkish purple flowers are borne on short, stout stems in late summer. The leaves are wide and flat with a scent of garlic. The clumps are very pretty in small borders and rockeries. Categories: All Items, all potted plants, culinary herbs, Potted Plants, More..